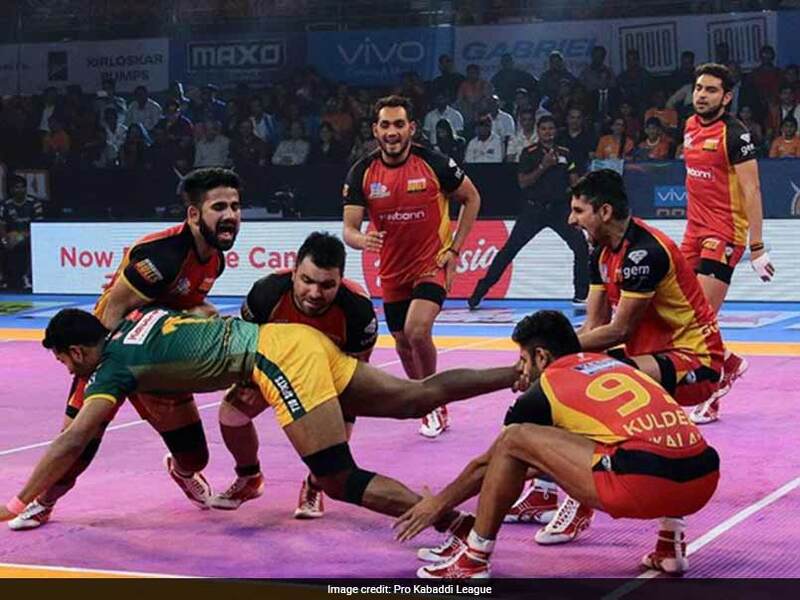 Rohit Kumar created history as he scored 32 raid points to help Bengaluru Bulls hammer UP Yoddha 64-24 in their penultimate match of Vivo Pro Kabaddi Season 5 on Tuesday. Rohit Kumar created history as he scored 32 raid points to help Bengaluru Bulls hammer UP Yoddha 64-24 in their penultimate match of Pro Kabaddi Season 5 on Tuesday. 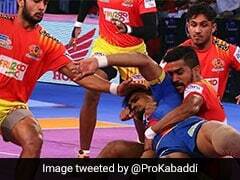 This was the most raid points scored by a raider in the history of Pro Kabaddi League. Bengaluru Bulls also created the record for most points scored by a team in the fifth season of Pro Kabaddi League. This was a rescheduled match after it was postponed due to heavy rains in Mumbai earlier in the season. Rohit Kumar was in sublime raiding form for Bulls, leading his team to victory. It was a slightly depleted UP Yoddha team and Bengaluru Bulls made them suffer. Surender Singh scored 11 points for UP Yoddha. Bengaluru Bulls now have 54 points from 21 matches and are fourth in Zone B. UP Yoddha are third with 60 points from 22 matches. For the first five minutes, it was a close affair as both teams exchanged raid and tackle points. Bengaluru Bulls went on a blistering run after the fifth minute and scored 14 straight points as UP Yoddha crumbled. Rohit Kumar led from the front for Bulls as he scored 12 raid points in the first half. Bengaluru Bulls inflicted the first all out of the match in the eighth minute to lead 11-3. In the 12th minute, Bengaluru Bulls inflicted another all out to lead 20-4. Surender Singh scored two raid points in two minutes as UP Yoddha trailed 7-24 after 16 minutes. Bengaluru Bulls ended the first half with a 17-point gap as they led 27-10. UP Yoddha began the second half in better form as Mahesh Goud scored four raid points in five minutes as they trailed 15-32 after 25 minutes. Bengaluru Bulls then scored six straight points in the next four minutes to lead 38-15. An all out was inflicted by Bengaluru Bulls in the 29th minute as they led 42-17. Bengaluru Bulls were dominant in the last 10 minutes as they inflicted two more all outs. Bulls scored 22 points compared to just three by UP Yoddha as they romped to a 64-24 victory.